Mendoza is the ultimate winter destination in Argentina. The city is beautiful is on its own with its rich culture and charming little by lanes. 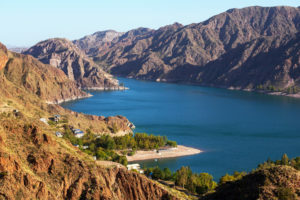 But what makes Mendoza popular among both national and international tourists are its various ski resorts. And unlike most ski resorts, a lot of the ones in Mendoza have snow parks as a part of the resort. So, what are snow parks? Snow parks are parks like amusement parks, but the rides and activities here all involve snow. Snow parks are such a hit with children and those who are not interested in skiing. Activities include snowboarding, snow castle building, snow throwing competitions, etc. Apart from such fun and games, snow parks also house shopping centers, nightclubs, etc. thus making them a hit with a lot of different types of people. 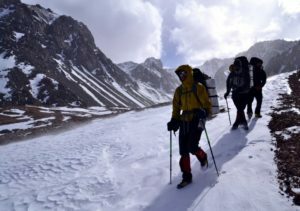 There are many snow parks around the city of Mendoza; some of which are the best in the country. Las Leñas at night. Beautiful lights! 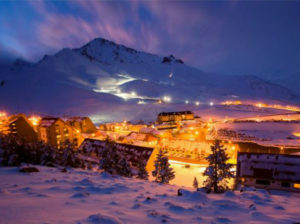 Las Leñas is a famous ski resort known all around the world for its magnificent slopes filled with snow. But it is also the location of a sprawling snow park filled with a lot of fun-filled activities to do. The resort is situated 400 kilometers south of the city of Mendoza and the best season to visit this place would from June to October. During this time, the region experiences a good amount of snowfall thus turning the entire resort into a modern winter paradise. The resort is one of most modern in Argentina is with top-class facilities and equipment. The resort is quite large and can accommodate thousands of people at a time. There is also a five-star hotel with its heated indoor pool. If five-star hotels are off your budget, then there are plenty of other hotels offering far cheaper accommodation without much compromise in the comfort area. Located pretty close to the mighty Mt. 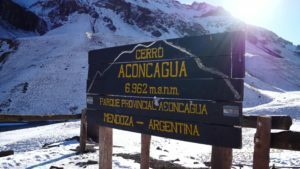 Aconcagua, this winter wonderland is filled with fun and games that would satisfy any demanding tourists. Located around 168 kilometers away from Mendoza, this resort is best visited during June to September. Both the snow cover and the climate are just perfect at that time of the year. Like Las Leñas, Los Penitentes too offers a lot of other fun activities to do apart from skiing. But be sure to plan in advance as accommodation in this popular resort can fill up quite fast during the season. Skiers going down to their cabin. Located just over an hour away from Mendoza, this was one of the first snow parks to have come up in the country of Argentina. The resort is not as big as the others, but it is still one of the most charming ones around. The main activity, of course, is skiing, but there are also other fun things such as snowboarding. Accommodation is available right on the mountain in the form of cabins, or you can choose to stay at the base where apart from hotel rooms, there are also restaurants, a pub, a gaming center and an entertainment center. Located on the national highway no. Seven about a hundred and eighty kilometers away from Mendoza, this snow park is located at an impressive altitude of 2700 meters above the sea level. The best time to visit this park would be from June to September. This park like most other snow parks in the region is famous for skiing, but it also offers myriad other things to do such as snowboarding for both beginners and experts, sled riding, too riding, etc. The park also has a gated little playing area exclusively for kids where they can indulge in various fun and games involving snow. Located on the same national highway no. 7 as the above resort, this park is located at an altitude of 2635 meters above the sea level. This is the perfect park for those who are just learning ski. There are 4 different slopes available, 3 of which are for beginners. Apart from this, the park also offers training for skiing, snowboarding, etc.